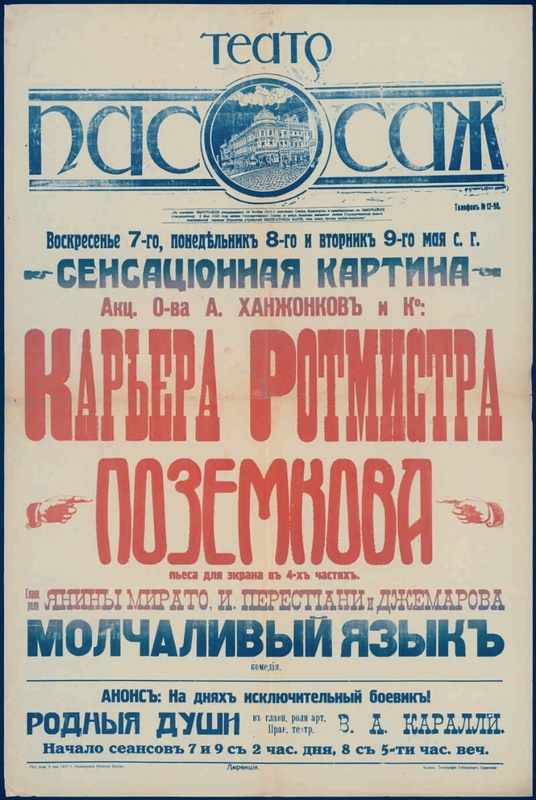 Electronic reproduction of the poster: The career of captain Pozemkov: play for the screen in 4 parts: the main. the roles of Janina Mirato, I. Perestiani and Dzhemarova: a sensational picture of Akts. A. Khadzhonkov and Co. islands. Silent language: comedy: Sunday the 7th, Monday the 8th and Tuesday the 9th of May p. [Izomaterial]: the theater "Passage". Kazan: printing house of the Provincial Government, 1917. 1 sheet: tsv. font (blue, red); 92x62 cm. Location: Ros. Institute of Art History. Movie room. I. "Passage", the theater (Kazan). II. 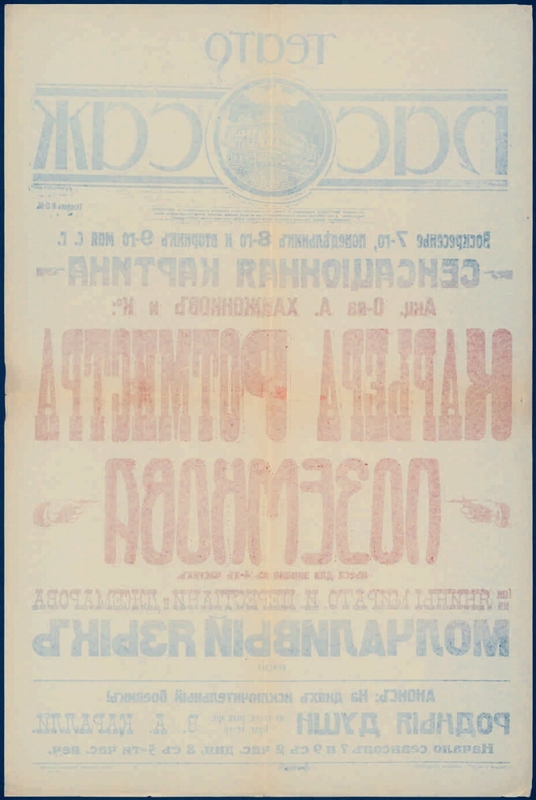 "Khanzhonkov, A. and K", joint-stock company (Moscow) .1. The people (the collection). 2. Russia in the faces (collection). 3. The year of Russian cinema (collection). 4. "The career of the gendarme captain Pozemkova" (feature film) - Posters. 5. Feature films - Posters. 6. Posters.